Golden savannah surrounds you. The scent of sweet acacia trees and dry grass linger in the air. The sun is warm on your cheeks. Weavers chirp cheerfully in the distance as they build nests. Rhinoceros tracks set in the dry ground. Signs of elephants mark the trees. The sights, sounds, and scents of South Africa are all a part of the vibrant ecosystem that exists here in Kruger National Park. 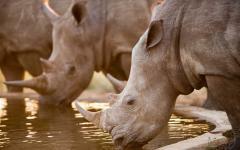 Wander through the bush and become a part of the South African wildlife. 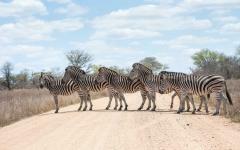 Experience the vivacious life of South Africa on this 7-day safari through Kruger National Park. Best experienced in the dry months of the South African winter when the savannah grass tends to be lower, venture into the wild unknown for an opportunity to come face to face with the mysteries and splendors of nature. 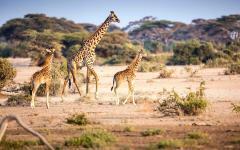 Walk along the path of ancient tribes, of wild animals, and of amber plains as you bushwalk through the incredible savannah, full of life, full of vigor, and ready to be explored. 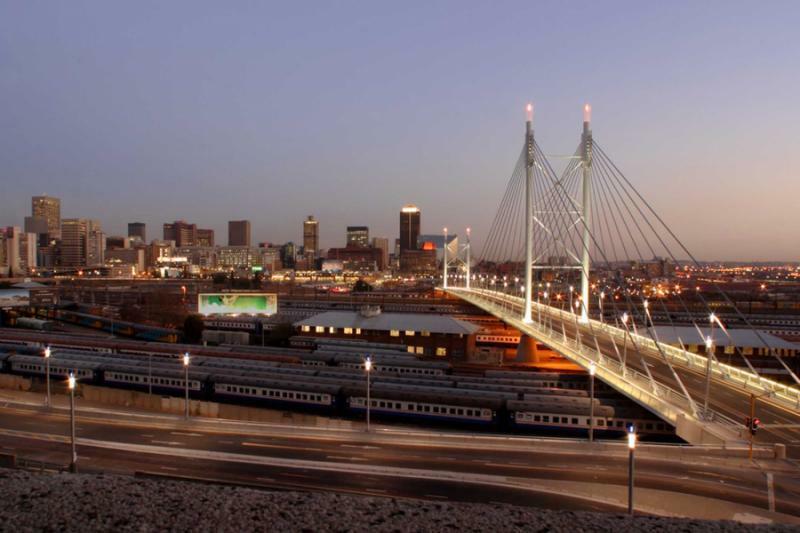 Begin your exploration in Johannesburg when you arrive in South Africa. Spend the day settling in and preparing for your journey beyond the concrete jungle. However, exploring the unique sits of Johannesburg is never a far cry away. You will then depart for Kruger National Park and reside in one of the incredible divisions of the park, either Klaserie or Timbavati Private Nature Reserve. Spend your nights beneath the gorgeous stars of the open sky. 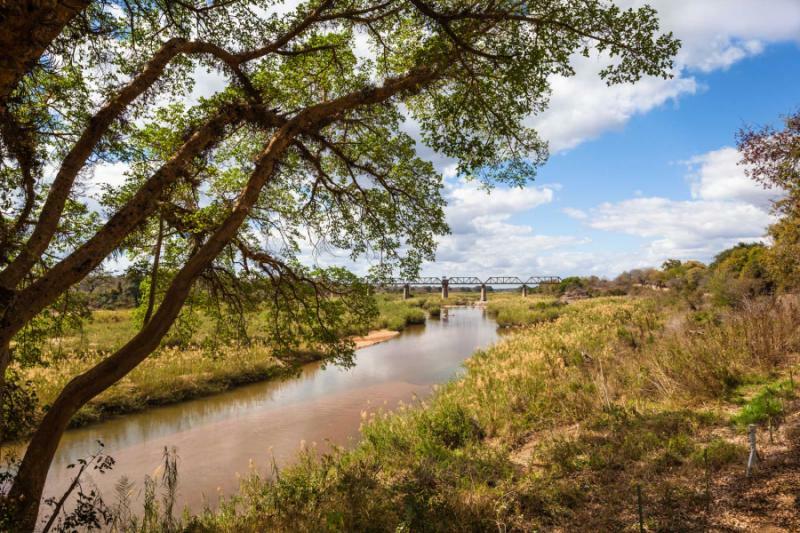 Your days will be spent adventuring through Kruger with your guide, wading through the bush, hiding amongst the trees and watching the bustling life of the national park eat, drink, bathe, sleep, and more. The days are warm and bright. The nights are cool and decorated with constellations. The sounds of wildlife are never far away until you depart from Kruger and make your way back to Johannesburg to prepare for your flight home. This is life in the jungle, concrete and wild. This is the wild life you experience. This is an incredible life worth living. South Africa comes into view from the window of the plane as you ascend into Johannesburg. The treetops add lush green within the urban jungle of the city. The Carlton Centre, the largest building in Africa, stands tall over the city. The urban jungle sprawls out beneath you. Land in South Africa and prepare yourself for the vibrant life of Africa’s most southern country. The streets are full of people, full of life, and full of history. A city where the effects of apartheid can still be seen, the strength of the city and its people are apparent in the eclectic and hidden beauty of this urban center. Once in Johannesburg you will be transferred from the airport to your accommodation. 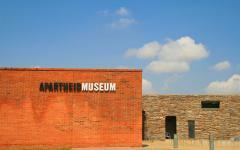 While in Joburg, as the locals know it, the Apartheid Museum should not be missed. 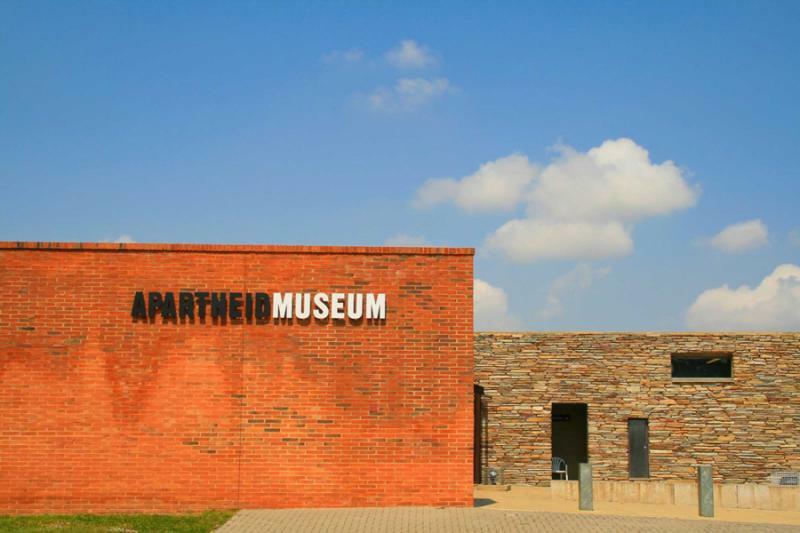 Opened in 2001, the museum illustrates the rise and fall of apartheid in South Africa, from Dutch colonization, to British Rule, to Afrikaner segregation. The museum is meant for anyone that wants, and for the world that needs, to know what apartheid in South Africa was like. The museum not only highlights the country’s tumultuous past but is also a symbol of inspiration and hope showcasing how the country is coming to terms with its tempestuous history and moving towards a progressive future. 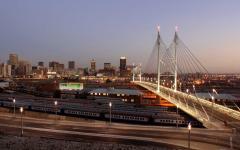 Return to your hotel having seen part of the resilient culture of South Africa and the vibrant life of Johannesburg. 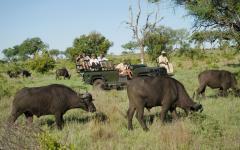 Today you will be collected from your hotel and transferred to the famous gates of Kruger National Park. Enter the quintessential stylings of the Bush Pub Inn to meet your guide through your time in the reserve. The inn emits hints of fresh packed earth from the thatched awning over the bar. The lacquered, wooden bar shines in the bright light of morning. The columns along the interior resemble twisted bark and spiral up into the awning. Listen to your guide as they explain the exceptional experience that you will have while in South Africa and the life you will be a part of once you enter the park. 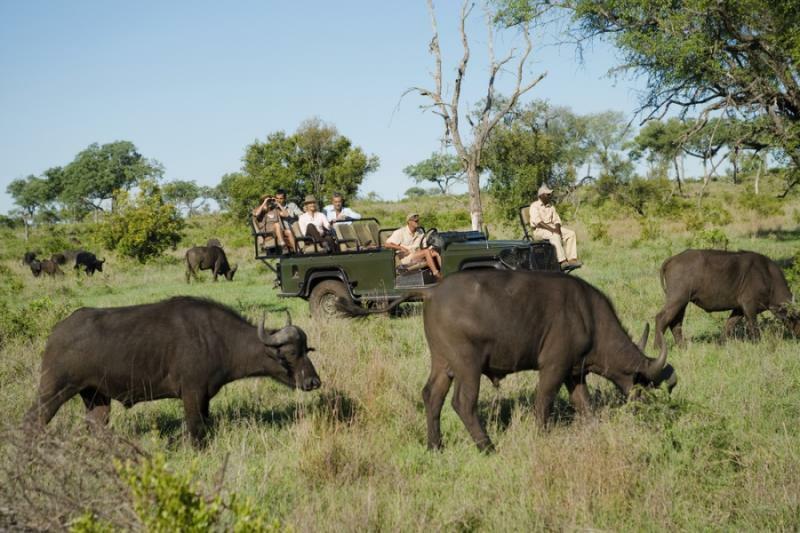 Hop into the open-air safari vehicle and make your way to Timbavati Private Nature Reserve, a park that shares an unfenced border with Kruger National Park. The acacia trees flutter in the breeze and send a sweet scent along the prairie. 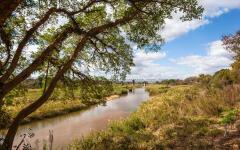 Your campsite sits in the open savannah where the wildlife of South Africa wanders through, grazing along the grass, climbing into the trees, and sniffing the unique scents of their surroundings. 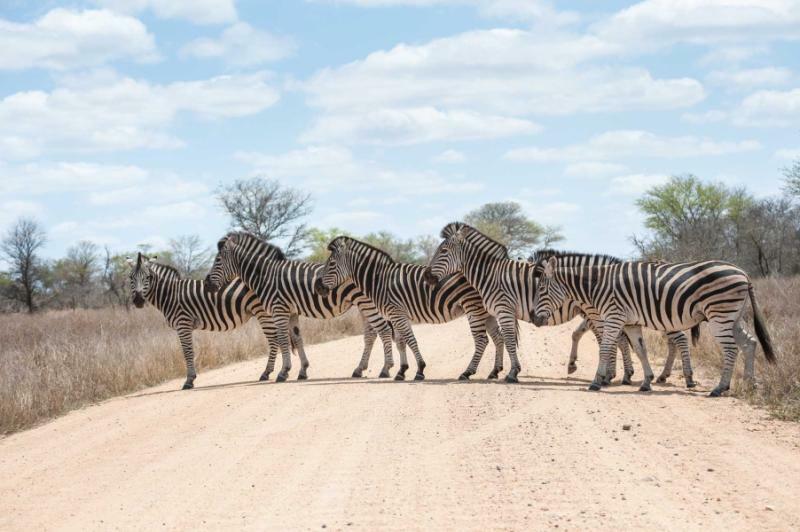 From zebra to elephants, aardvarks to hyena, prepare yourself for the incredible wonder of life that lives within the reserve and the wild life of a true South Africa safari. Wake up as the morning sun begins to peek over the horizon. The smell of fresh coffee drifts from the kitchen and hangs in the vast air of the open camp. The crisp sound of fried sausage fills the quiet morning. The coffee is rich on your tongue. The morning air is cool on your cheeks. The table is dressed with sweet pineapple, bright red apples, and rusks, a traditional South African cookie, shared and eaten by Afrikaners and traditionally dipped in coffee until soft. As the sun grows warmer on the horizon the sounds of life grow louder in the bush. Today you will venture out into the bush on a walking safari. Your guides are knowledgeable and protective. The bush is dry and knee high. Whether you are filled with an adventurous mind, eager for a learning experience, or just enjoy an incredible walk, the emphasis is always on all the wonders of nature, big and small. Travel through the savannah, along the riverbanks, and under the canopy in search of the remarkable wildlife that fills South Africa. The sun is warm at its zenith, the golden light shining onto the fluttering grass. Your guide shows you the leopard footprints that line the soil, teaching you how to tell the difference between leopard and lion prints. Your guide shows you what marks a fresh trail when tracking an animal and what demarcates a cold trail. The dry land crunches beneath your feet. The sound of lively birds flurries in the trees as you traverse the bush. Once again you rise with the sun, the horizon burning brighter every minute. The morning dew makes the grass rise fresh and damp. The smell of sweet pancakes lingers in the air. In the night you may have heard the wildlife rummaging through camp. Hyenas often prowl, their snorts, sniffs, and cackles echo in the night. Their laughter alerts their clan to food, the rest of the group following the sound of the night’s howl. As the morning comes the sounds of the animals remain but heard from the distance, and you are up and ready to view them all. Excitement mounts as you make your way through the bush, the rays of the sun giving the golden bush an extra gleam. Traipse through the savannah until your guide signals you, tells you to freeze where you stand, and points to the trees in the short distance. A herd of elephants stands among the trees. The matriarch looms large in the group. The sound of bark being stripped from the trees reaches you and your guide. Dust flies from their stomping feet. The world seems to close in and focus around them. They saunter toward the water and begin to drink, their large frames swaying as they walk. The sound of spraying water spritzes the air. The elephants nudge one another and trumpet their trunks. The sun begins to drift in the sky, onto the other horizon, and brings in the night. The morning begins and today you dive into the bush to catch another glimpse of one, if not all, of the incredible Big Five. 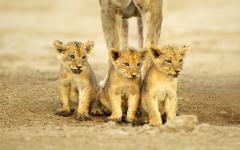 Your guide brings you to a popular area for lions, where they tend to feed, rest, and roam in the early morning hours. 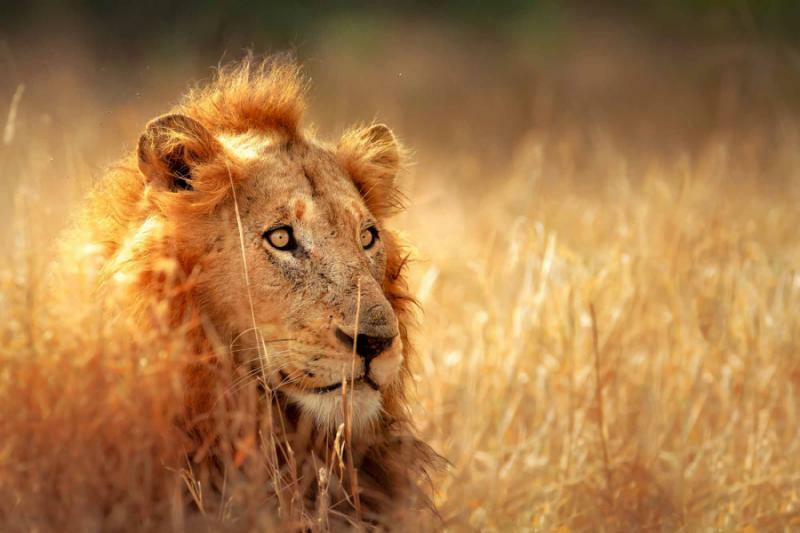 You keep a sharp eye on the distance, scouring the amber grass that often keeps lions hidden in the wet months. As you continue through the bush you realize that you are sharing the wildlife’s path, their waterholes, and the daily dramas of their lives before your guide spots them. The male lion’s breath snorts loudly as he rests, his stomach plump from a recent meal. His mane is a fiery orange. His tongue is a bright pink when he yawns and sets aggressively against his sharp teeth. Female lions sleep close together, their golden fur resting against one another. Your guide explains about their territorial nature, their eating habits, and the fact that you never want to stumble upon lions while they’re eating. They are lounging, large, and majestic. It’s hard to take your eyes off of them. 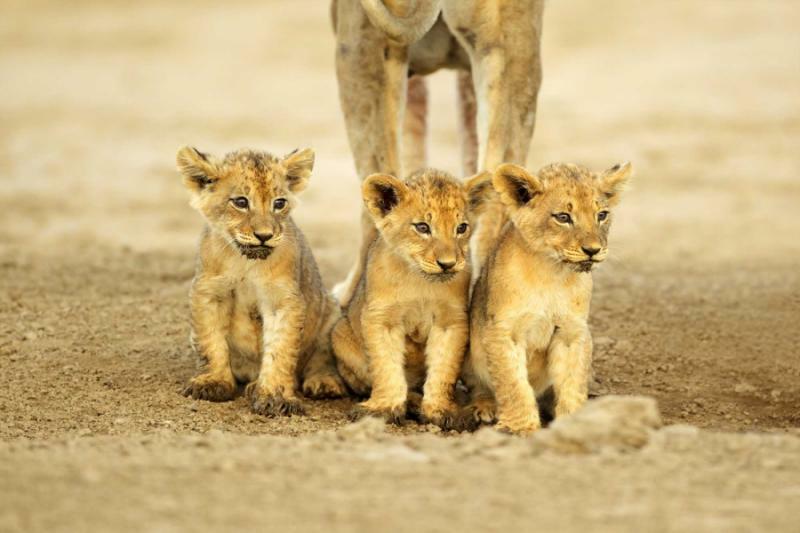 Inside Kruger National Park roams the rare and stunning white lions of Timbavati. Their fur, including their mane, are snow-white, but their eyes and nose still have pigment differing from animals with an albino gene. 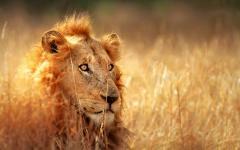 Perhaps the noble king of the jungle wanders through your path as you journey through the bush. Tonight you can enjoy an incredible dinner underneath the night sky. The stars glisten white in the deep black sky. The Milky Way swirls around the constellations adding an incredible glowing streak to the night. A table lies in the open space, set and ready for you to sit and enjoy your dinner beneath the stars. The fire pit flickers and crackles a few yards away, but the savannah is otherwise quiet. The smell of roasting vegetables and tender chicken emanates from the kitchen. Tonight is the African evening you had always dreamed of in the wildlife you always knew you would visit. Today you will journey into the bush for the final time before making your way back to Joburg. Begin the morning with sweet pineapple, the sugary juice coating your tongue and waking you up. The coffee warms your hands in the cool morning. 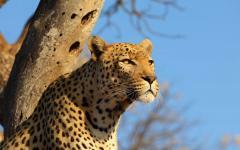 The sun is quick to rise, as are you, as you venture into the bush to capture the sight of the captivating animals. 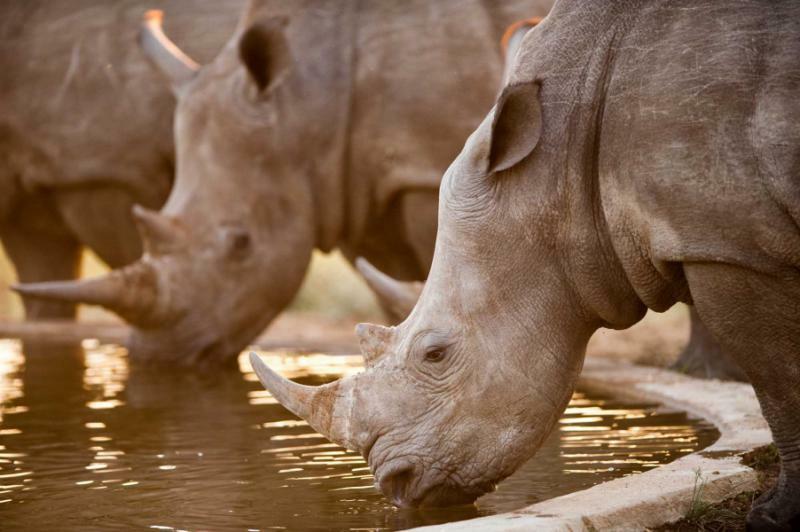 Rhinoceros roam the savannah, white rhino meander through their territory and often socialize with one another, grazing together or pressing their horns against one another in an act of dominance. 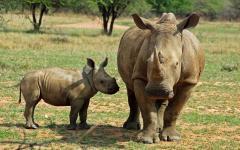 Black rhino are more solitary and harder to track, not often residing in the same space twice. 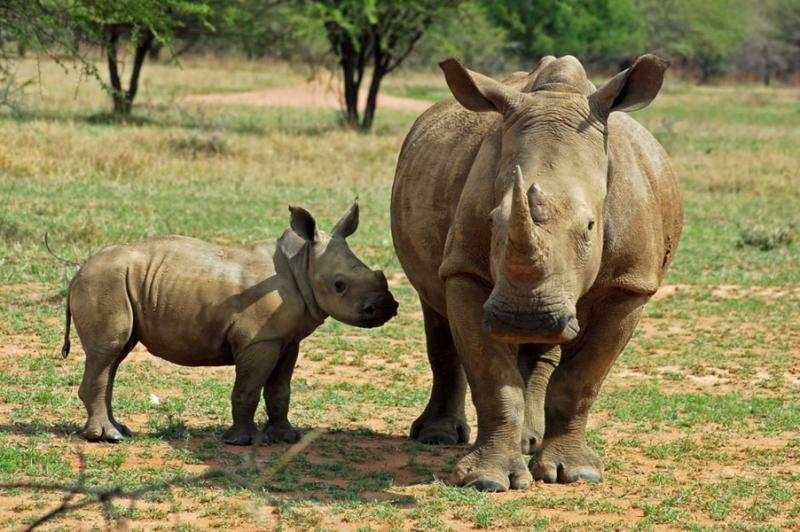 Whether a black or white rhinoceros, the visual is always exciting, your heart palpitates; the breeze blows against your cheeks as the rhinoceros mosey through the grass. Their large body prances as they make their way through the glistening sun. You will make your way back to Johannesburg in the afternoon and settle into your accommodation close to the airport. 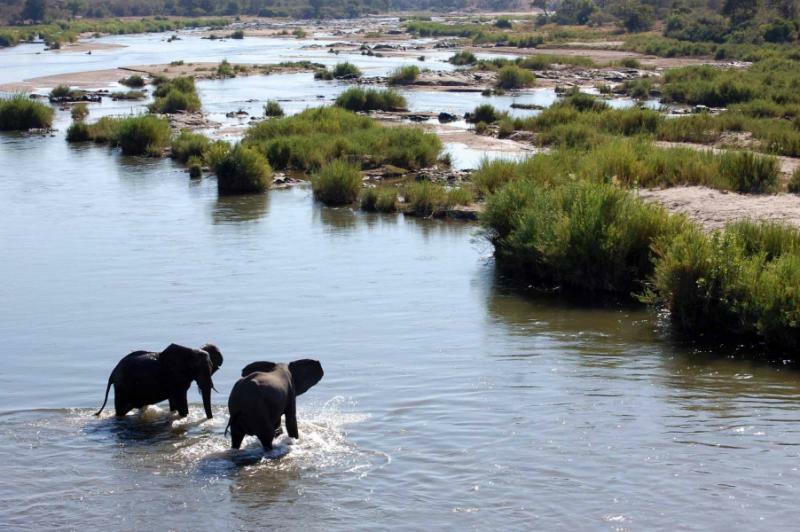 The adventurous exploration of the Kruger Nature Reserve will never leave, even as you enter the urban jungle. Enjoy your final evening in South Africa with a trip to Society Eatery and Craft Beer. Mixing European flavors with African flair, the rib-eye meatballs are tender and juicy, giving the meat-crazed country every reason to continue their love affair. The sauce is made with tomato, giving it a familiar citrus; however, the lager that they use to create the sauce gives a fabulous body to the tomato sauce that is both unexpected and delightful. Today you depart from your incredible life in South Africa and the wild life that you experienced while here. You will transfer from your accommodation to the airport to catch your flight home. As you board the plane and ascend into the sky the golden fur of lions lingers in your thoughts. The playful elephants traipse through your mind, and the starry sky fills your dreams. Your time in South Africa was full of the vibrant animals that people only dream of seeing. You have experienced the cultural past, present, and hopeful future of a country still feeling its apartheid past, and you know that this isn’t just an exploration through Kruger National Park—it is life. 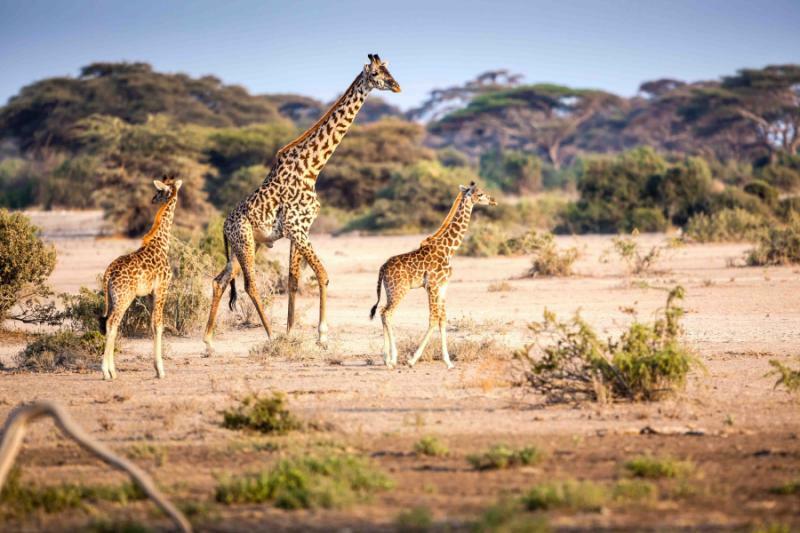 If, however, a 7-day safari is not enough time for you, think about adding on to your trip. There are many other amazing places to see in South Africa, and since all tours are customizable, you can extend your trip however you would like. 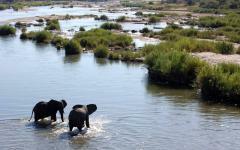 Be sure to read the South Africa safari reviews to see what others have done on safari.